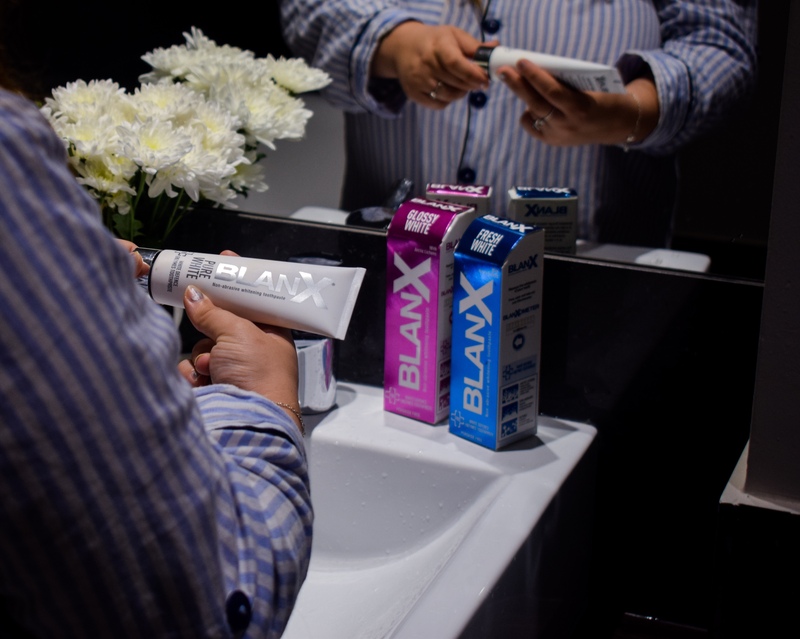 BlanX Whitening Toothpaste; Does It Really Work?! Now, I’m not gonna lie, when Blanx originally got in touch and asked if they could send me some products over, I had no idea what to expect. Teeth whitening intimidates me and I was really hoping that they weren’t going to send me those little LED light things because they scare me a bit (a lot). Luckily, they sent over their new PRO range, and I was so excited to give them a go! Now, they did actually only ask for an instagram post originally, but I thought I would do a much more in-depth review too as they are…. cruelty free! YES!! This is actually the first ever cruelty free toothpaste that I have found that isn’t a weird powder or something that confuses me too much, and I am so glad. Ok, so as always, this is gonna be split into little parts to make the review more thorough, so let’s go. So BlanX actually sent me their entire PRO range which consists of Glossy White, Pure White and Fresh White. These products are non-abraisive, which means that it’s gentle to the teeth and doesn’t use harsh ingredients- which is exactly what scares me about teeth whitening, so it sounded perfect! 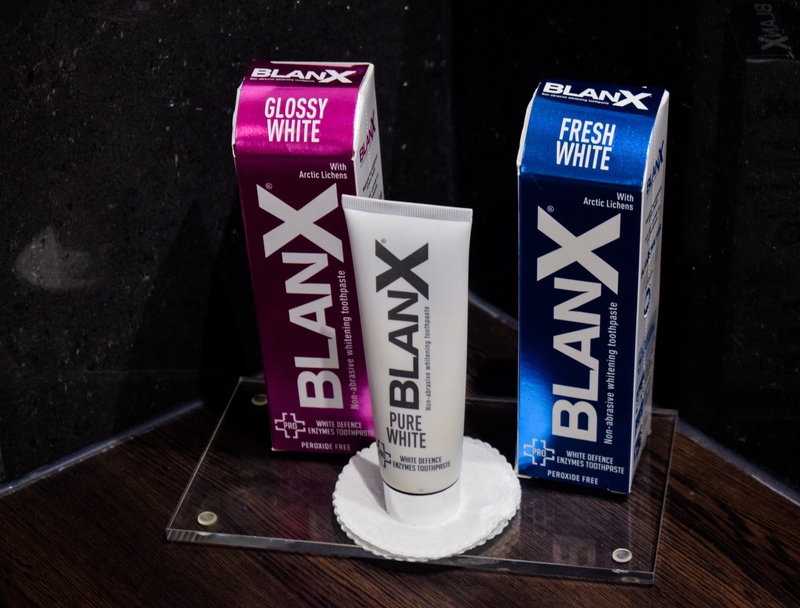 BlanX is also suitable for every day use, and it is super affordable (compared to other whitening products on the market). I decided to give the Pure White a go first, which is supposed to remove stains from the enamel surface and fight oral bacteria to defend the natural whiteness of your teeth. After one use, I liked the product. I had measured my teeth on the whiteness shade scale beforehand, and I definitely couldn’t see a full shade of improvement, but improvement was definitely present. And, I wasn’t expecting instant results anyway, so after just one use, I was pretty impressed! The minty flavour wasn’t too strong, which I actually really appreciate in a tooth paste, and the formula also didn’t foam. I know a few people do like a foamy toothpaste, but I find it unnecessarily messy so I quite like that this formula doesn’t do that. After using, my mouth definitely felt fresh and clean, so all in all, a good first impression! I then decided to give the Glossy White a go. Now, I’m *a bit* extra at the best of times, but even I had never considered a glittery toothpaste. Until now, that is. I really appreciated the glitter, of course, and this one is perfect for using when you need a bit of an extra whitening boost! The taste isn’t the best, but it’s not too bad and it leaves my mouth feeling fresh so no complaints. Finally, I decided to give Fresh White a go. This was my least favourite of the three, but I still managed to use it and I actually think I saw a more instant effect with this one! I just wasn’t keen on the taste, and the first time that I used it the blue-ness of my mouth scared me, but don’t be put off by this, it does not stain your teeth in any way! Okay, so I’ve officially been using BlanX for over 2 months (!) now and I can say that I am definitely a fan. I always see a slight difference between before and after every time I brush my teeth. In selfies and reflections I’m finding myself constantly taken aback by their appearance! I’ve always used whitening toothpastes as my teeth are something that I’m very self-conscious about, but using BlanX has honestly improved my confidence so much! I mean, don’t get me wrong, I know that I’ve been using it for quite a long time for these results and it’s definitely not a completely instant affect, but I am impressed by my progress. My teeth also feel mega clean after using. The blue in Fresh White did stain my lips a few times (oops) but I grew to like the taste and love how my mouth felt after using! Honestly, I would really recommend BlanX if you’re wanting a gentle whitening toothpaste for every day use that ACTUALLY gives you the results that you’re looking for! This product was sent to me in exchange for instagram feature, but all opinions are my own. For more information, please see my disclaimer.